There are 3 documents that accompany this lesson. 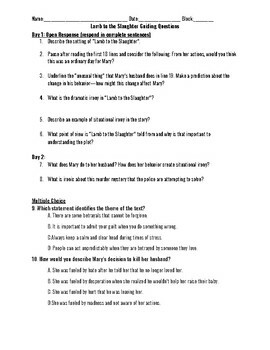 Students will complete the close read of Lamb to the Slaughter. An annotation strategy is key to students stretching their comprehension beyond the text. This document has built in annotation pause places that can be modified.